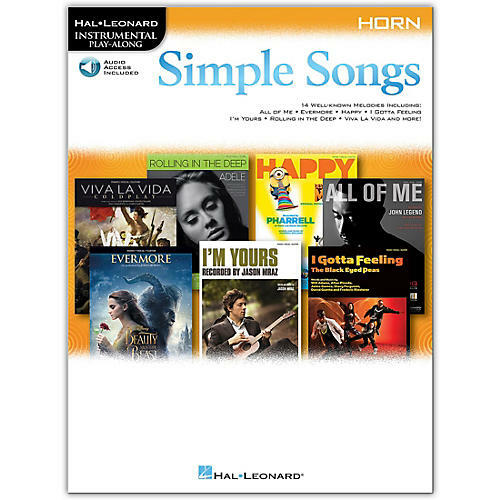 Solo arrangements of 14 well-known melodies are featured in this collection for beginning instrumentalists. It features online access to audio demonstration tracks for download or streaming to help you hear how the song should sound and so you can sound great while playing along with the backing tracks! Songs include: All of Me · Evermore · Hallelujah · Happy · I Gotta Feeling · I'm Yours · Lava · Rolling in the Deep · Viva la Vida · You Raise Me Up · and more. The audio is accessed online using the unique code inside each book and can be streamed or downloaded. The audio files include PLAYBACK+, a multi-functional audio player that allows you to slow down audio without changing pitch, set loop points, change keys, and pan left or right.